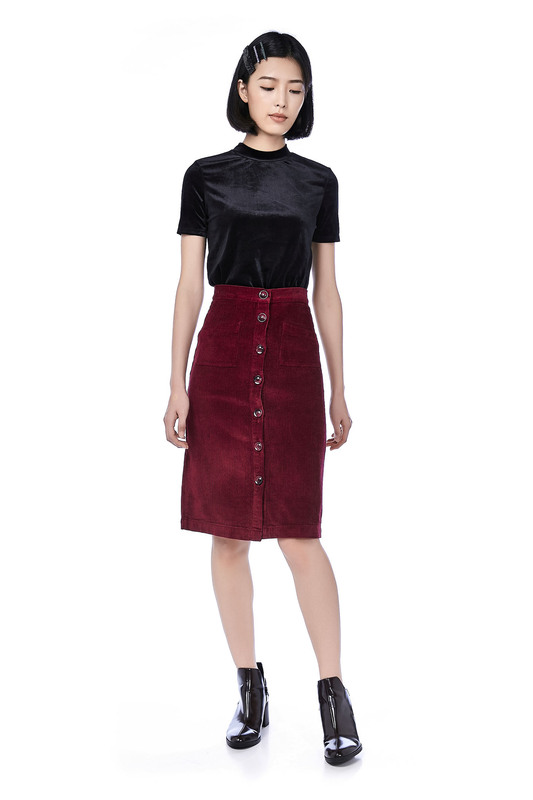 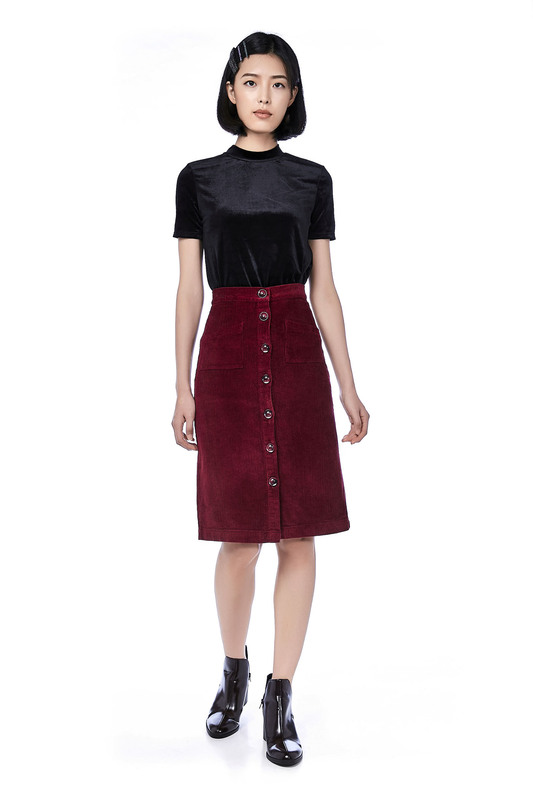 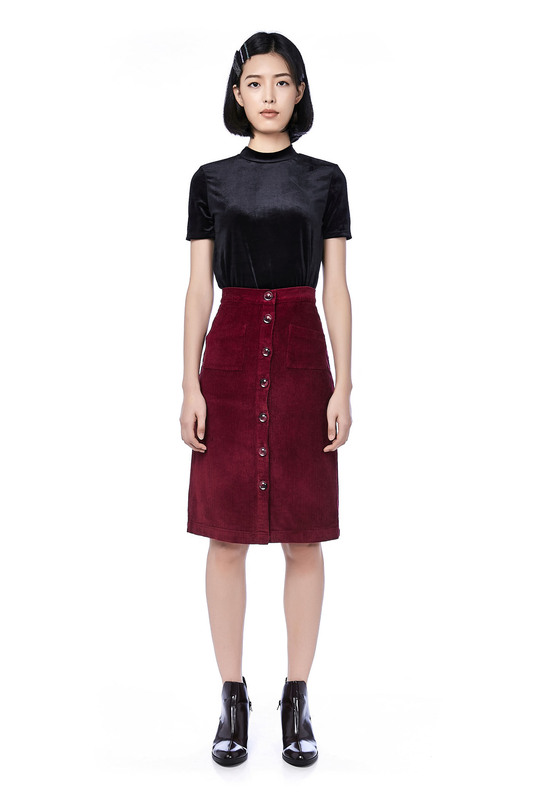 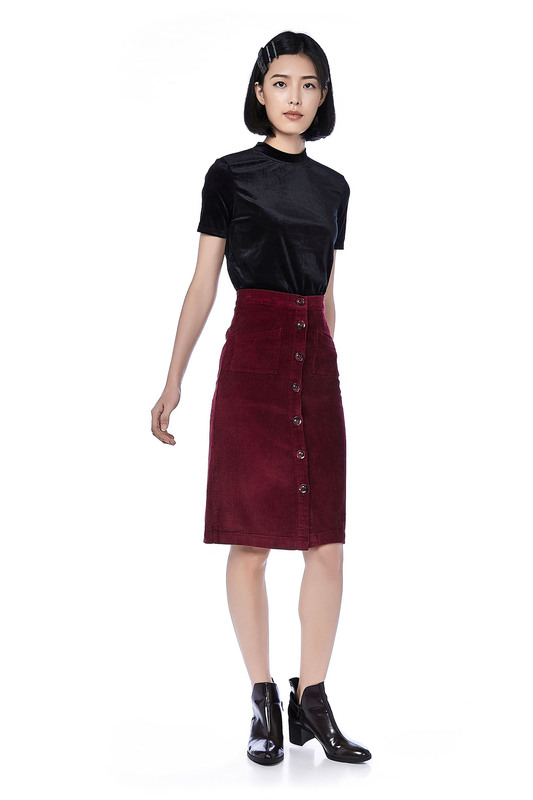 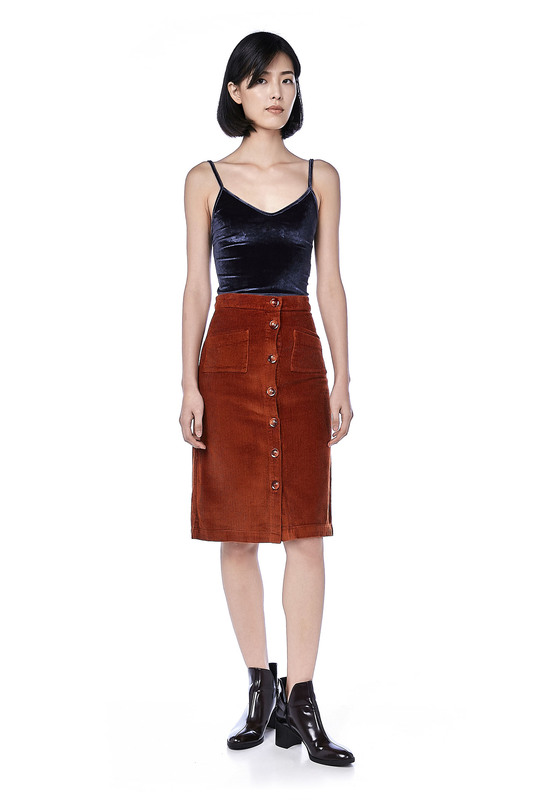 This midi skirt is made from corduroy. 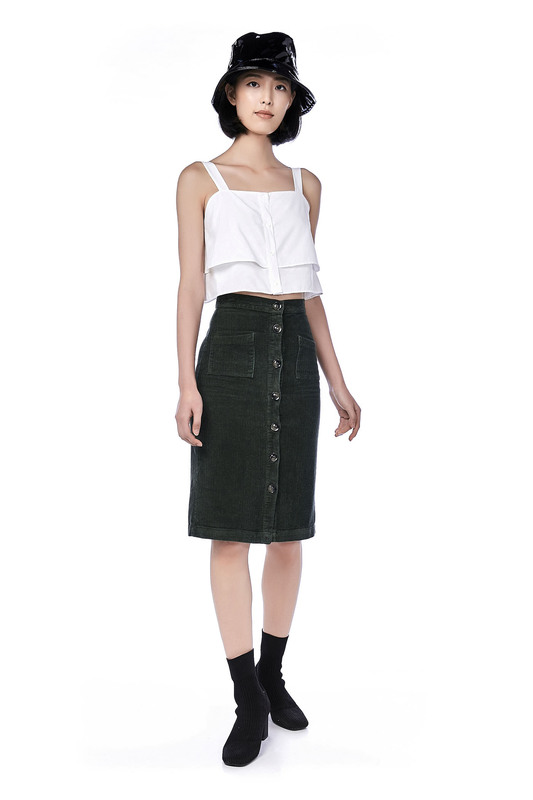 It is high-waisted with functional patch pockets and functional button closure on the front, made in a slim fit. 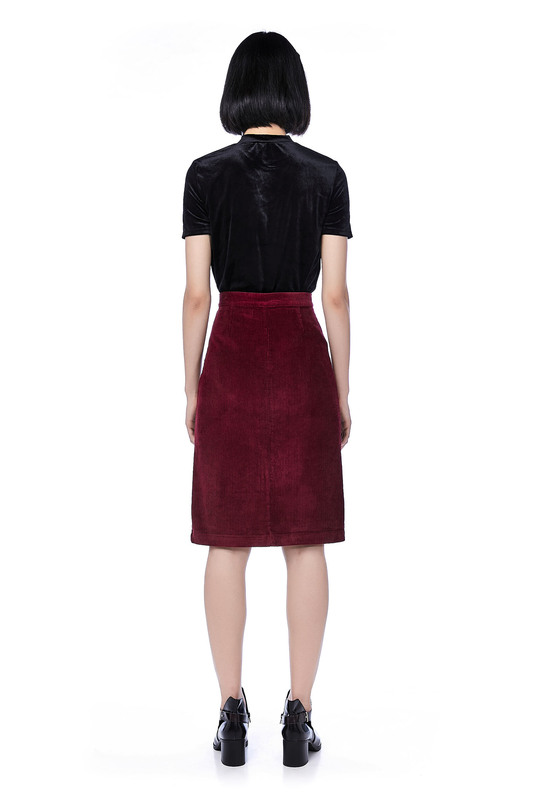 WAIST 24" 26" 27" 29"
HIPS 31" 33" 34" 36"